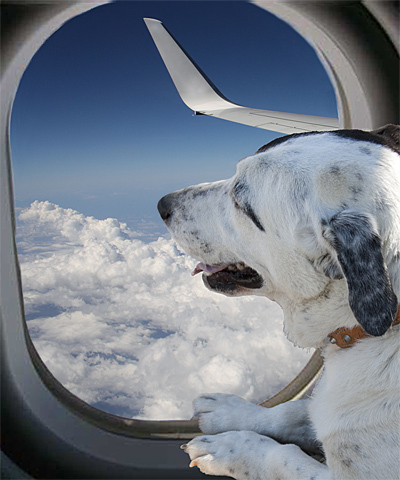 Bliss Pet Services is specialized in the international transportation of animals by air. Contrary to what we are led to believe, the transport by air guarantees our faithful friend comfort and safety. The journey by air is safe! A statistic study carried out by Air Cargo is a further evidence of our competence. According to the data obtained from the most important airline companies in the world, accidents occurring to animals during air journeys are very low, namely 0,01%. Consult a specialist! Contact BLISS Pet Services and we will be happy to explain how we carry out our work, at the service of your furry friend’s comfort and safety. Usually, the concern affecting mostly whoever has and unconditional love for dogs, cats, ferrets & co. is the one relating to their travel condition inside the hold of the airplane. Our priority is to respect the health, well-being and peace of mind of “furry (and unfurry) passengers”; our team of collaborators and our caring and professional partners have been accurately selected and are all able to understand the specific needs of the animals and those of their owners during the air journey and, moreover, are in a position to always take the appropriate measures during the shipping procedure. We provide services for air transportation and shipment of animals, which strictly comply with the IATA safety regulations. The “four-legged passengers” are loaded in the pressurized and air-conditioned holds, inside their pet carriers, which comply with the standards set by IATA (International Air Transportation Association). The approved pet carrier must be equipped with safety, ventilation grids on the sides and on the back, and must be at least 7 cm higher than the animal in a standing position. The pet carrier shall contain only absorbent mats, bowls for water and food and, in some circumstances, with prior authorization from the airline company, a garment from which the animals can sniff their owner’s smell . For the comfort and safety of your animal, Bliss Pet Services can provide you, directly at your domicile, with transporters that comply with international regulations, equipped with a complete travel kit. Specific precautions must be adopted in order to guarantee a safe and comfortable journey, fully focused on the health and care of your pet. For this reason, BLISS Pet Services, in collaboration with a team of Vets and experts, specialized in in the care and temporary stay of animals in Pet Hotels, has prepared some e-books and studied an interactive program in order to assist you during this preliminary phase. I contacted Bliss when no other agent was willing to help with a complicated pet move from Central Asia to London. They were simply fantastic. Quick to respond, understanding, very patient with my endless questions, huge attention to detail, friendly and highly professional. I would use them again without hesitation, and recommend them without reservation. Great job, and thanks so much to the Bliss team for keeping the family together.